I already bought Diablo 3 like, 6 years ago. I wanted to play some more, but I realized I was playing the starter edition after I beat the Skeleton King. 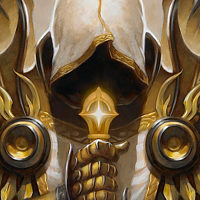 I have checked every account I have ever owned, and it said I didnt have Diablo on any of them, although I'm certain I had it on this account. This account hasn't made any purchases, so it would have had to be a different account. I would recommend contacting support so we can try to find it.